Only Spain-based translators can deliver perfect translations into Spanish. Contracts, catalogues and websites translated into Spanish, at very affordable prices! More than 15 years' experience delivering top-notch Spanish translations to clients all over the world, from our headquarters in Spain (Madrid and Barcelona), through our delegations in the United States, UK and other European countries. At Ibidem we stick to what we know best: legal translations of contracts and claims, commercial translations of catalogues and advertisements, technical translations, website translations, software localization, official certified translations, etc. Experts in marketing, legal and web translation. Accurate translations, fast turnaround and excellent rates. We are a small, dedicated and reliable translation agency. We deliver rich, precise, fresh and authentic translations, as if they had been originally written in Spanish; an effort few agencies are willing to make. All of our translators are native speakers, and always translate into their mother tongue. When translating into Spanish, we work with Spanish translators from Spain. We translate many language pairs, but English to Spanish is our most demanded language combination, hence we can offer very competitive rates and fast turnaround. Give it a go, ask for a quote and put us to the test! Quote for English to Spanish translations. A good translation into Spanish should never seem like a translation. It must be accurate, elegant and precise, but it must read as if it had been written in that language. All our translations into Spanish are always carried out by 100% native Spanish translators, working in the mother tongue, and who are completely fluent in the source languages, i.e. English, French, German, Italian or Portuguese. We work with Spanish translators who specialise in a range of fields such as business, marketing, legal and technical: technology, engineering, IT, industrial, medicine, tourism, sworn translations, etc. Every translation is checked by a second native Spanish translator to make sure there are no mistakes. We work with translation memories, glossaries and terminology databases. Wonder how much would a translation into Spanish cost? From our headquarters in Spain, we provide unbeatable prices for Spanish translations. We can translate product catalogues, flyers, brochures, advertising material, user manuals, studies, reports, magazines, annual accounts, etc. 2. Contracts and legal documents. We can translate contracts, agreements, deeds, powers of attorney, affidavits, company by-laws, annual accounts, judgements, etc. We translate websites and eCommerce stores: Wordpress, CMS, Prestashop, Magento, etc. We safely translate all kind of code files: .html .php .xml .po, etc. Experts in international SEO. Professional translators - interpreters for meetings, visits, courses, events and congresses. Native Spanish translators and interpreters, fully bilingual in both Spanish and English. Widespread availability in Spain (Barcelona, Madrid), UK, USA and other countries. Need a good translation into Spanish? Send us an email with the originals to be translated and we'll send you a quote within an hour. Please select the documents you want to translate. All Personal Data will be processed according with the European RGPD. How does the translation process work? A nimble and simple process. Quote with a fixed price commitment and no last-minute surprises. Timely delivery of your translation into or from English within the agreed deadline. 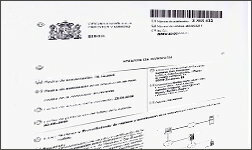 Send us the original documents by email indicating the target languages and desired delivery time. Within an hour, we'll send you a quote with the exact price and delivery time. If you want, we'll be happy to sign and send you a Confidentiality Agreement. To confirm the project, you just need to send back the signed quote. If it's the first time we work together, you'll have to pay by bank transfer or card (online payment). Extraction to PDF or from Web to Word, preparing code files (HTMLS, etc. 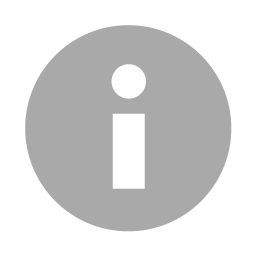 ), terminology glossaries, etc. Translation from English, French, German (or another language) into Spanish, always carried out by an expert native translator. Proofreading in Spanish, always carried out by a 100% native Spnaish translator and expert on the subject. Always delivered on time. Delivery by email, except for Sworn Translations, which must be delivered on signed and sealed paper. Urgent 24-hour translation available. Invoices are always sent by email along with the translations. The first project must always be paid for in advance, by bank transfer or credit card (Secure Payment Gateway). Companies can later apply to pay after 30 days. With nearly 500 million native speakers, Spanish is the second most spoken language in the world. Take advantage of our Spanish translation service and boost your international sales. Spanish translations guarantee you access to a huge market. Counting the number of native speakers, Spanish is the second most prominent language in the world (with more than 472 million in 2018) and the second language for international communications just behind Mandarin Chinese. Spanish is the native language in a total of 21 countries – Spain, Mexico, Columbia, Argentina, Venezuela etc. On top of that, it’s also commonly spoken in countries like the United States where some 45 million people speak Spanish at native level. Ibidem has offices across Spain, from Madrid to Barcelona. So, there’s no doubt we have what it takes to produce top quality Spanish translations. In fact, each year we translate over 1 million words to Spanish from a wide range of different languages. If you need an accurate translation into Spanish, we are you ideal partner. About a million words translated into Spanish every year. These are of some of our more recent English to Spanish translation projects from 2018. 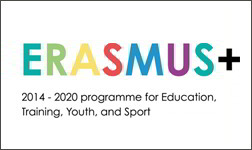 Translation of the Erasmus report "People, Places, Partnerships". Ibidem translates from English into Spanish a report from the Erasmus programme called "People, Places, Partnerships", for the city council of Llicà de Vall (Barcelona). The insurance company Cover More translates from English into Spanish a patent of a new optical fiber connector, a project that brings together the complexity of a technical text and the accuracy of a legal one. 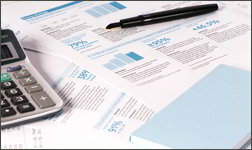 Financial translation of annual accounts. Unibail-Rodamco, one of Europe's leading commercial property company, specialised in shopping centres in European capital cities, trusts Ibidem Group with the translation from English into Spanish of their 2016 annual accounts. Planeta DeAgostini relies again on Ibidem group for several tutorial and article translations into Spanish of their collectible magazine “Mis creaciones de Crochet”. Having offices in Spain allows us to work with the best native Spanish translators. It’s no surprise that we have tons of positive reviews on Google and a rating of 9.5 out of 10. "Amazing! Perfect spanish translations done in record time. It’s been a pleasure to work with you. Thanks guys, we’re counting on you for future projects"
"Really pleasantly surprised. The project involved legal translations which were rather complicated...It’s clear to see that they are native spanish translators and that they take their work seriously"
"Brilliant prices for Spanish translations, almost 20% cheaper compared to other translation agencies. Really great and quick service. I absolutely recommend them!"